90% of women (and some men too) will deal with cellulite in their lifetime. I know from personal experience that this unsightly condition can make you want to hide under the covers instead of baring it all. When I gained a lot of weight in college, I began to notice cellulite forming on my legs. As a mortified twenty-year-old I knew I had to stop it before it got worse. I enlisted the help of my most fit friend who was studying nutrition. She told me that the best way to stop my cellulite was to avoid foods that cause cellulite and by introducing foods that fight cellulite! Foods that fight cellulite? I hadn’t heard of such a thing. My friend quickly schooled me on exactly what that meant. Within just a couple of months, my cellulite and my embarrassment, disappeared. Want to learn how? Keep reading to find out what I learned about starting your own cellulite diet. Cellulite is caused by the buildup of fat underneath your skin. The connective tissue of our skin is designed in such a way that when fat accumulates, it causes lumps, bumps or dimples to appear. While excess fat isn’t the only reason you can develop cellulite, it’s one of the main causes. Genetics and hormonal changes also play a role. According to WebMD, you’re also at risk of developing cellulite if you are dehydrated or participate in fad dieting. I knew that I had gained a decent amount of weight in college so I was certain that was the cause for my cellulite. My friend agreed and said the best place to start when cellulite appears is with your diet. So without further ado, here are the foods that cause and fight cellulite. Sugar is one of the first things my friend made me eliminate from my diet. Natural sugars in fruits are fine but any processed or added sugars should be avoided. That means no more fruit juice cocktails, alcohol, candy, creamer, baked goods, bread, sweets and anything else that has added sugar. Why must sugar be eliminated? Well, when you eat excess amounts of sugar, your body can’t process it quickly enough and the extra turns to fat! Sugar is a huge cause of cellulite. If you’re a sugar addict, you can break the relationship slowly. Swap out candy for sweet fruits like kiwi and start using a little less creamer in your coffee. Eventually you’ll get to a point where you can eliminate it completely. Processed foods are full of so many unnecessary ingredients. When you eat processed foods you are filling your body with junk. This is no good for your weight and makes you gain excess body fat very quickly. The unfortunate thing is that processed foods are all around us and are often a quick and cheap option. It will take a bit of willpower, but if you can avoid them, it will help reduce your cellulite. My suggestion is to stay on the perimeter of the grocery store when you go shopping. This means you’ll pick up lots of fruits, vegetables and meats which will provide a nutrient-dense and fulfilling menu. Salt is so delicious on everything but it is so bad for cellulite! I had a really hard time putting the salt shaker down when I first started my anti-cellulite diet. If you want the best chance of eliminating cellulite forever you have to reduce your salt intake. When you have too much salt in your body, you start retaining water to help balance out the burden. Water retention can make cellulite appear worse. Dr. Oz suggests avoiding foods that contain more than 200 mg of sodium. 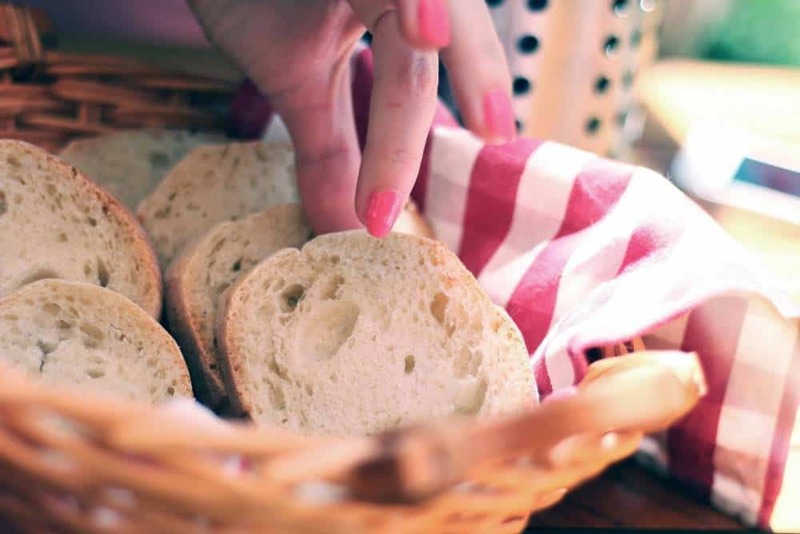 Instead of white bread, opt for breads made out of whole grains. This will help you avoid glucose overload and minimize the appearance of cellulite bumps. As an added bonus, it will also help you lose weight! This is a no-brainer but with so many tempting options out there it’s hard to resist. 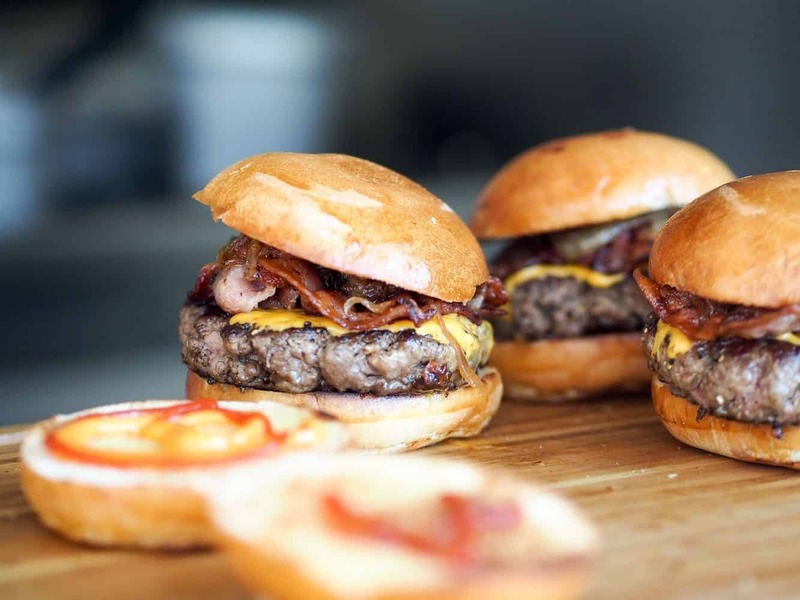 Fast food joints have recently gotten into the habit of promoting a “healthy” portion of their menu. Keep in mind that the healthy options you can get in the the drive-thru will not compare to something you would make at home. Drive through the produce aisle instead (with a cart, not a car!). Of course if fast food is your only option for some reason, choosing their “healthy” option is going to be better than getting that super sized combo meal. Soda contains ridiculous amounts of sugar and as we already discussed excess sugar in your body turns into fat. What’s even worse is that sugar is actually more addictive than cocaine! Consuming too much sugar puts your body in a vicious cycle of always wanting more. You crave sugar, you eat it, your blood sugar levels spike and then they come crashing back down. Once you crash, you start to crave more sugar to make yourself feel good again. Then the cycle continues. This YouTube video provides a great illustration of exactly how sugar addiction works. This is something I had a hard time with when I first started my health and fitness journey. I often had an “anything goes” attitude when I was eating healthy. For example, if I was eating a salad for dinner I felt like I had the right to add a bunch of creamy salad dressing, because I was restricting myself in other ways. Surely a little dressing wouldn’t hurt, right? Wrong. Once you start dialing in your diet, it’s the little things that will end up making a big difference in the long run. Swap your creamy, fat and sugar-filled dressing for homemade concoctions like these. A lot of people think that swapping out regular soda for diet soda is something that is going to help them because they are eliminating sugar, carbs and calories by taking the diet option. What most people don’t realize is that sugar substitutes, like aspartame, act in the same way sugar does. So even though you are technically eating sugar, your body thinks you are and still reacts in the same way. Instead of using sugar substitutes like those found in diet soda, opt for water, seltzer or fresh squeezed juices. This was another area that took some getting used to when I started my healthy eating journey. The grocery store is littered with “low fat” and “low calorie” soups, beans and other fruits and vegetables. What a lot of people don’t notice is all of the added ingredients that come inside. Next time you are at the store, take a look at what’s really coming inside that can of “healthy” soup. If there are added sugar or ingredients you can’t pronounce, put the can back down. Cilantro is one of those things you either love or you hate. I’m a cilantro lover but my husband claims it tastes like soap! (That is a real phenomenon by the way). Whether you love it or hate it, it’s something to consider adding to your anti-cellulite diet. Why? Well according to Eat This, Not That, “Fresh herbs like cilantro promote detoxification by helping to remove these heavy metals from the body that tend to hide in fat cells.” The metals can interrupt your tissue function and make your body unable to heal and function correctly. Eliminating toxins throughout your body can also help you get rid of excess fat. You can buy fresh cilantro at the store or even grow some in your own home. 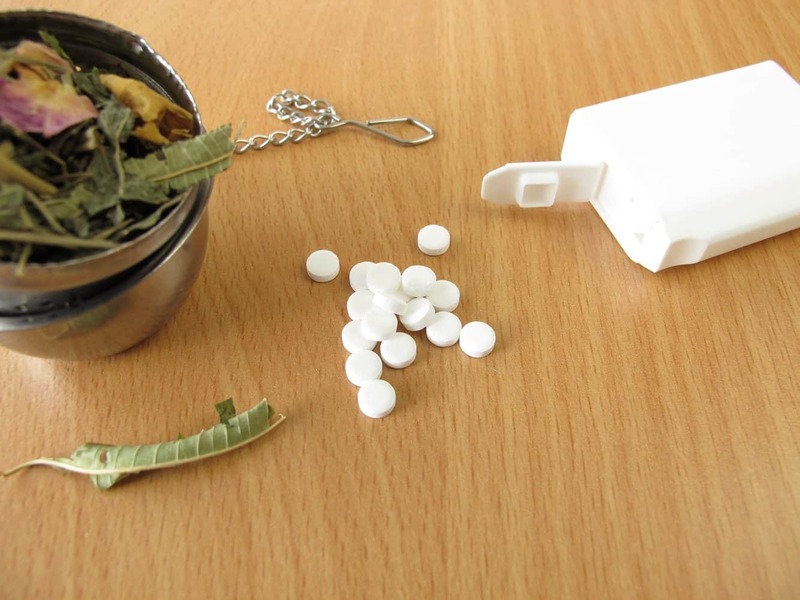 You can find plenty of herb starter kits on Amazon. 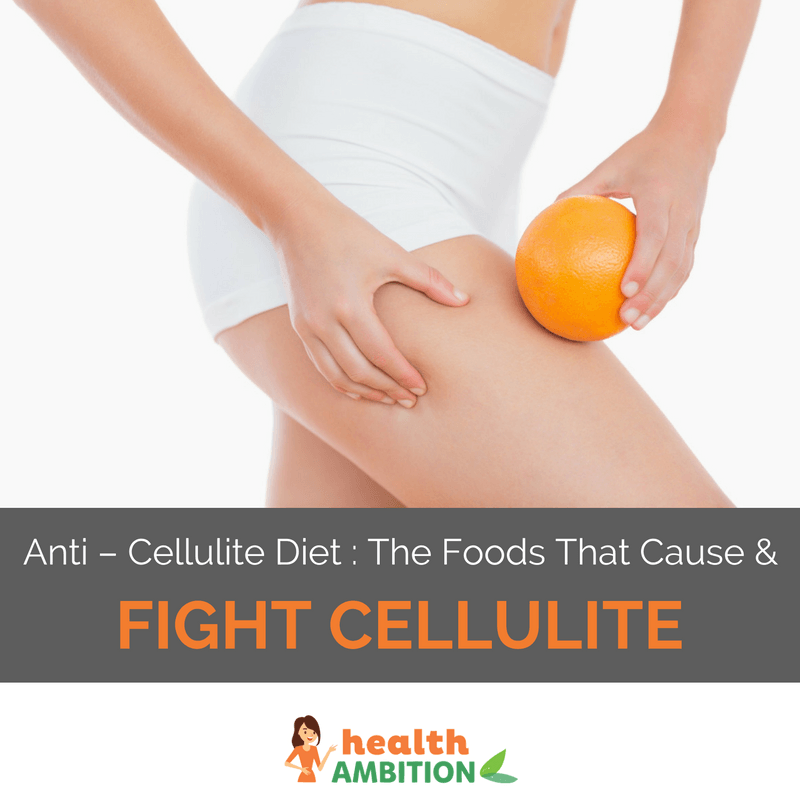 Huffington Post published an article called 12 Home Remedies to Get Rid Of Cellulite. In it, a participant tested the effects of a lemon juice and cayenne pepper cocktail and found great results. 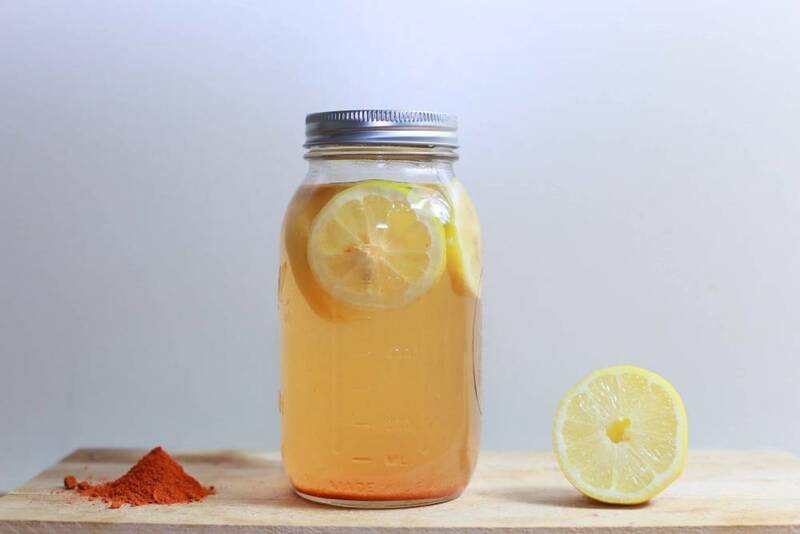 You simply mix lemon juice and cayenne pepper in water and drink it 3 times per day. After 30 days you should experience firmer skin and maybe even better health overall. Lemon juice has long been known as a great addition to your H20 routine. You can also try rubbing lemon directly on your cellulite problem areas. Lemons are said to clear and brighten skin when placed directly on it. Berries are one of the best fruits you can eat. They are super rich in antioxidants and nutrients. 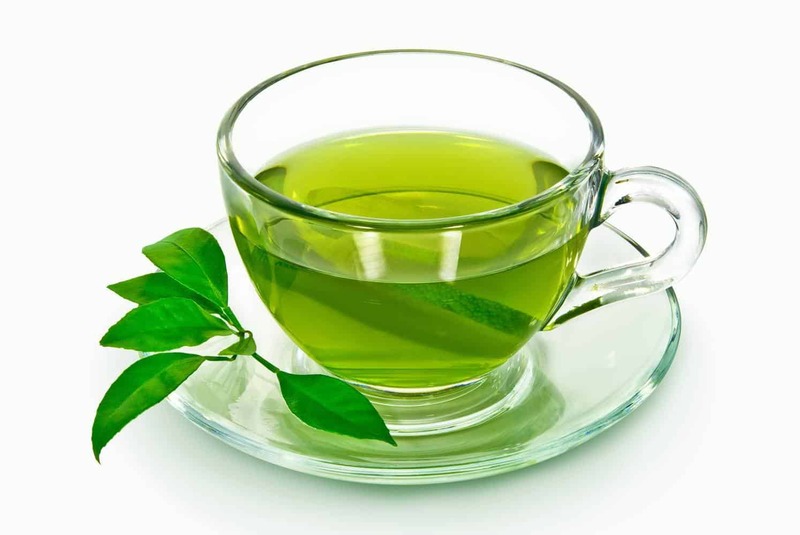 Their antioxidant properties can help you fight toxins that may have entered your skin and are causing it distress. Each type of berry has it’s own special benefits so choosing a variety of berries is your best bet for getting the full benefits. Avocados are an amazing anti-cellulite food. This is because they contain important essential fatty acids like omega-3s and omega-6’s. According to WebMD, these are the building blocks of healthy skin. What’s interesting is that your body does not make its own essential fatty acids, you can only get them from foods. That’s why making sure your diet is rich in healthy fats is integral to good health and fighting cellulite. Essential fatty acids are polyunsaturated fats that help produce your skin’s natural oils as well as keep your skin hydrated, supple and youthful. Exactly what you need when it comes to stopping cellulite in its tracks! Don’t forget that olive oil and salmon are some additional sources of omega-3s and omega-6s as well. Hummus is one of my all-time favorite snacks. It’s a low glycemic food which means it doesn’t cause your blood sugar levels to spike and crash like other carbohydrates can. It’s also full of protein and fiber and can be made into some amazing different recipes. 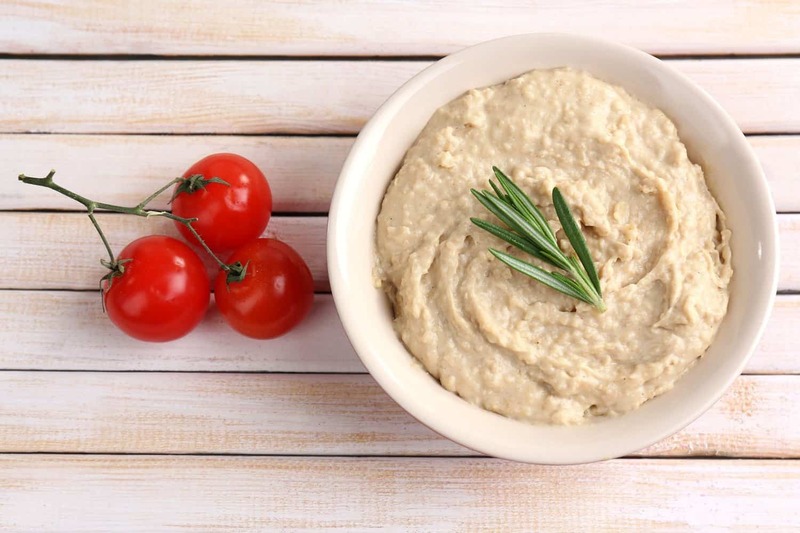 So the next time you’re looking for a healthy carb or a tasty side dish, give hummus a try. It’s always a hit when I bring it to parties too! It’s said that having just a couple ounces can help harness your appetite and increase circulation between tissues. Dr. Roberts goes on to say that “Boosting circulation can reduce cellulite by increasing muscle tone under the skin.” This means your skin will be stronger and create a smoother surface. Wondering how to incorporate saffron into your diet? Add it to your next rice dish or sprinkle it on top of avocados for a super healthy snack. You can also sprinkle some in your salad or in one of your homemade salad dressings! What do you think? Are you up for the challenge of eliminating cellulite for good? Let me know how things go and be sure to comment below with any questions!